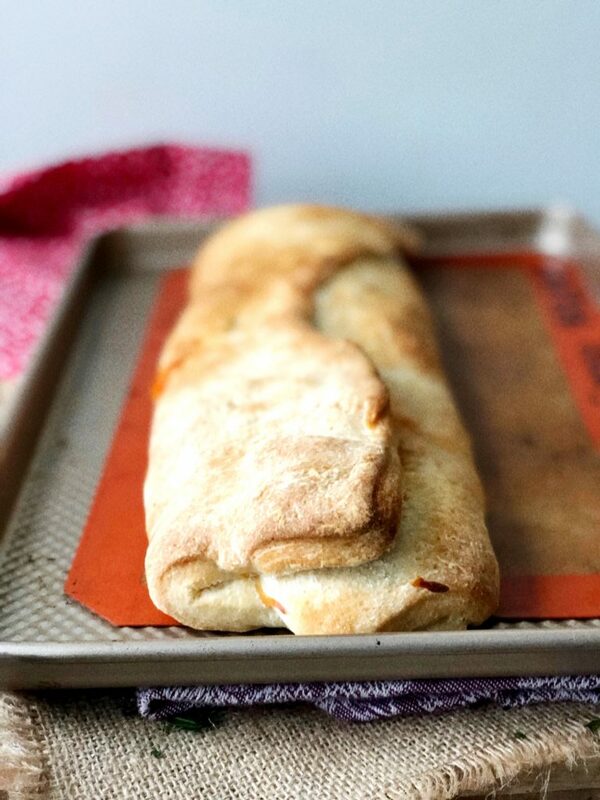 Using a premade pizza crust makes this stromboli recipe come together quickly. I pop it out of the can and stretch it a little bit so the crust is a bit thinner. I haven’t tried this with the premade thin crust variety because I am guessing that the fillings will make the bread too soggy. You’ll want a crust that can actually stand up to your fillings. So, I recommend using the premade to make this faster. But, you could make your own pizza crust, too! 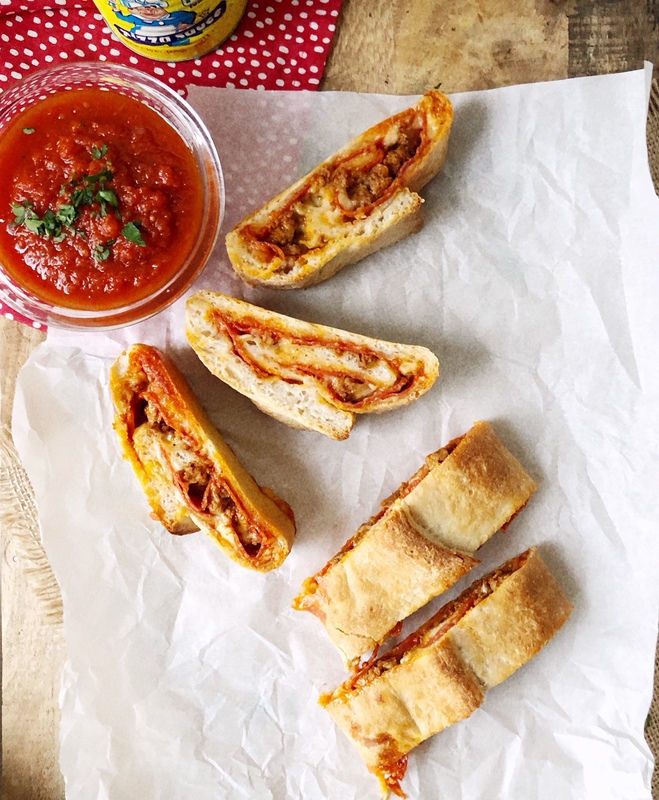 Use the basic method of this easy stromboli recipe and fill with your favorite pizza toppings! 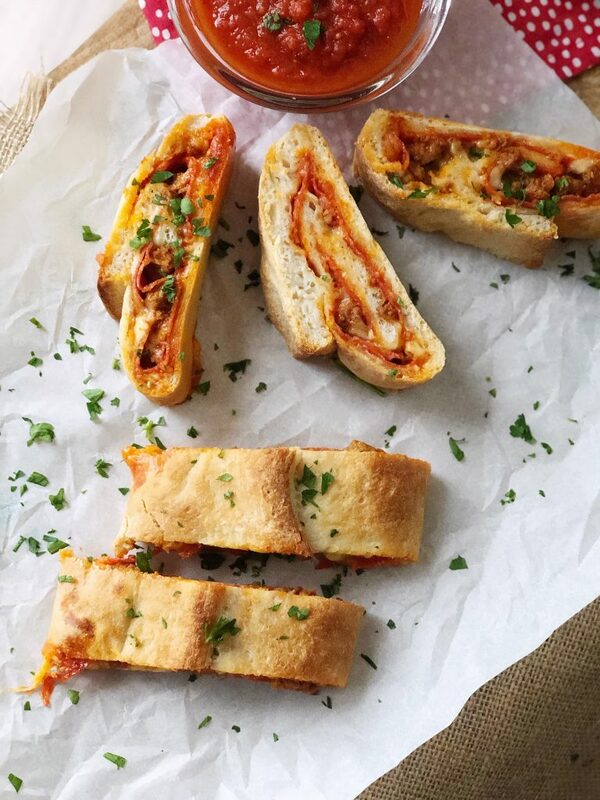 This can be made ahead, just allow the stromboli to cool completely and refrigerate. When you are ready to serve, reheat and then slice and serve! On the baking sheet, stretch out pizza dough until the dough is a little thinner than it started (just to give you extra length). 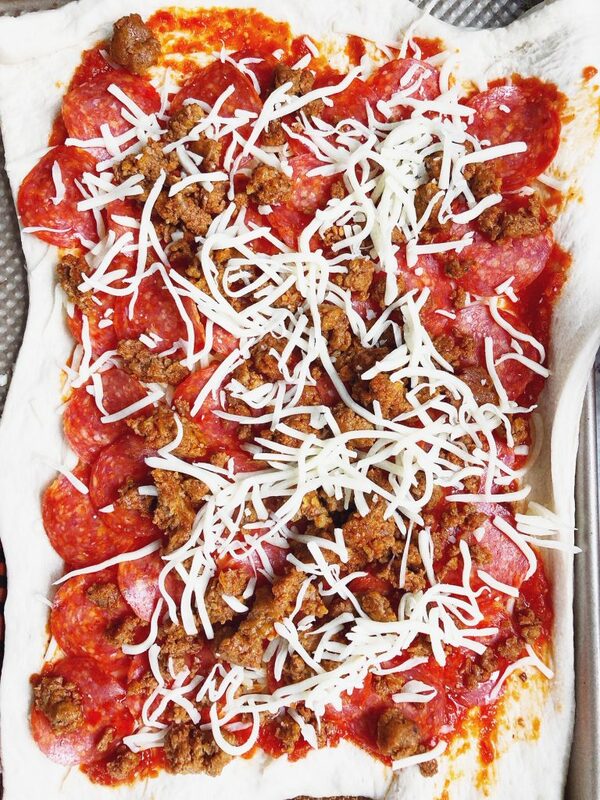 First, layer sauce; continue with chorizo layer; half the cheese; pepperoni layer; finish with the remaining cheese. Bake for 20-25 minutes until the outside is golden brown. Allow to cool for 10 minutes before slicing; serve with extra pizza sauce for dipping. 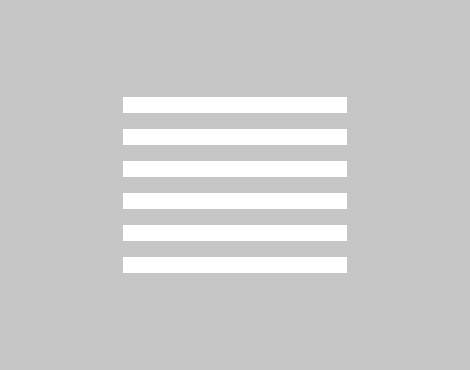 To make ahead: proceed with steps 1-4. 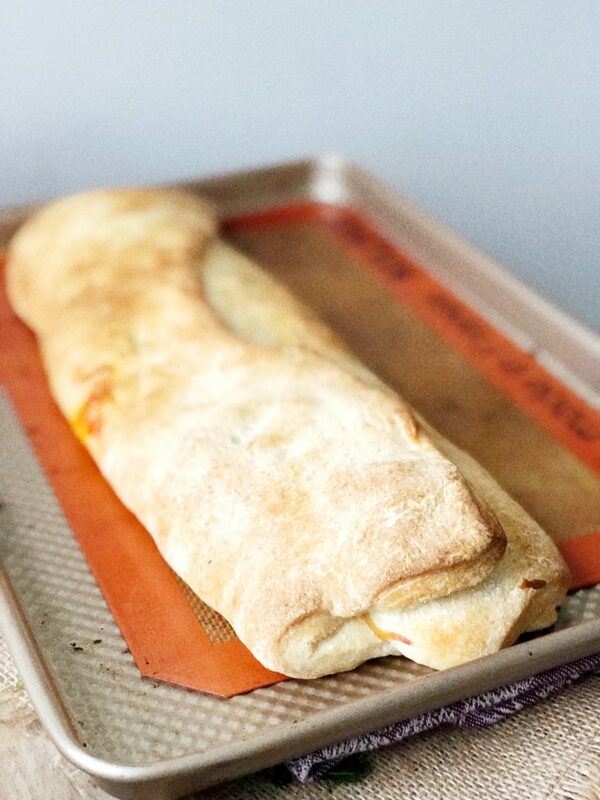 Allow the stromboli to cool completely, then wrap with saran and foil. When you are ready to serve, heat the oven to 350 and bake for about 10-15 minutes until the outside is hot. Cool for 5-10 minutes until it's warm but not too hot to touch. Slice and serve!